Excellent (really) would give higher marks but you dont offer space. Excellent service tech!! Super friendly, quick and professional...I just wish I would have been able to use the coupon that's available online to save a few bucks on the quick repair Nick did. Dont post a coupon if you arent going to honor it!...would have been 5 stars if it wasnt for the coupon- NICK is the guy you want to come out to your house. Nick is an excellent technician. He applied every discount to the invoice, which is why he did not honor the coupon. Most coupons can not be combined with other special offers, and he applied the better of the offers. However, we want every customer to have a good experience and will send you a check for $15, which is the equivalency of the coupon. It is not worth $15 to us for someone to have a negative experience. My installers profile is not on here but his name is Darion. Talk about polite and professional! I cant say enough about this young man as he worked tirelessly and meticulously. I was impressed as you don't see this type of work ethic from very many young men of his age. He arrived mid to late afternoon and stayed until late in the evening until he was finished. He asked if I wanted him to come back on Sunday to finish up and I told him it was entirely up to him. When Darion was finished, there was no trash or debris to be found. He cleaned up everything and loaded out the old materials and hauled them off. I recommend this company to everyone! Too add: Overhead Door quoted me an outrageous price for the same type of door and service. I was out of town and there was a malfunction with the operator. My wife called Precision Door and they arranged their schedule to hers for the service call. My wife doesn't remember who made the call but said they were very cleanly dressed and polite. They motor operator had to be replaced and it was done in a quick and timely manner. I am impressed that he had a spare on his truck. Unheard of from other door companies I have dealt with. 2 weeks later: Steve Colley came out on a service call because our garage door wouldn't close. What I like about these garage door openers is that they have a code located on the back of the motor operator. If there is a malfunction, the light on the opener blinks a certain number of times. You look up the number of blinks a wallah! Steve came out, assessed the problem, replaced the sensors and it was fixed. Electronics are not perfect and can go bad even if they are new. These products are mass produced and each one cannot be individually tested. Steve was well dressed, very polite and concerned. After performing a little research on this company and examining the reviews I called Precision Door on a Friday. Daniel came out the same day that I called in for service. 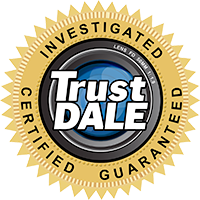 Upon arrival and examination of my existing door and opener, Daniel said he could just replace the old opener and that the door was still in good condition. I was very pleased with his honesty but explained that I wanted a new door and opener. I also explained that I was going out of town on Monday and needed it installed ASAP. Daniel said let me see what I can do. He came back and said no problem. I noticed that Daniel was a Georgia Army National Guard member. I just recently retired from the Guard and we shared stories and people we both knew. Since I am a Veteran, Daniel said it was company policy to give Veterans a discount. I said great! Working with Precision Door and Daniel was a great experience! "Installation review to follow"